Dr. Leah's Website Nearing Completion! 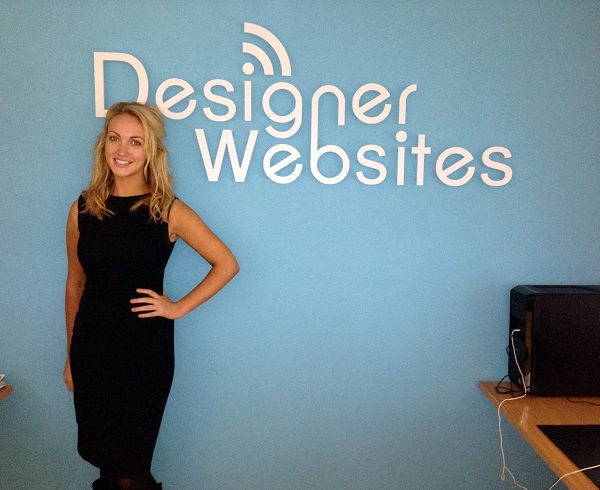 We had a lovely visitor to the Designer Websites studio today in the form of The Apprentice 2013 winner, Dr. Leah Totton. We are in the process of building Dr. Leah a bespoke website to advertise her upcoming skin rejuvenation clinic. Dr. Leah spent the day at our office with our creative and enthusiastic team of designers and developers, to decide on the finishing touches to her site. We made great progress, and are very excited to unveil her brand new bespoke website soon! We're very pleased that Dr. Leah loves the design we have created. She even tweeted a lovely little message about Designer Websites the minute she boarded her train, and shared a picture of herself with our infamous blue wall. We're all really excited about Leah's new site and we can't wait to see it live! SafetyLiftinGear are a Bristol-based company specialising in the supply of safe, reliable lifting equipment. Their website needed a new lick of paint, and that's exactly what we provided - the new website has a far more contemporary style, and the user experience is a lot smoother than before! SLG is an international enterprise, providing equipment to businesses in many different countries. Their previous website only allowed customers to make purchases in pounds sterling, but the new and improved SafetyLiftinGear site allows users to pay in Euros and Arab Emirate Dollars as well. We are very proud of the new SLG site, and we wish the company every success in the future.